Dear Colonel Morse, The mail has just arrived. 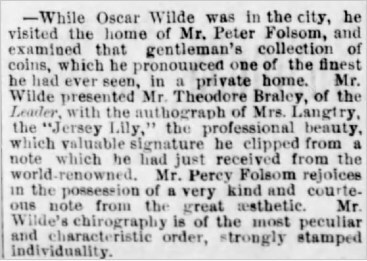 Moreover, we learn that one letter he received that day was from Lillie Langtry, and that he clipped her signature from the note as a presentation to Theodore Braley, the editor of a local newspaper. Braley died in 1919 but what did he do with that autograph? 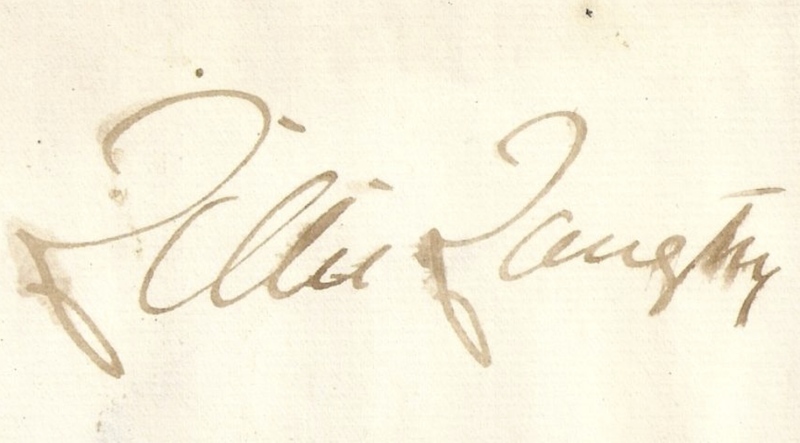 I’m sure collectors are suspicious of signatures clipped from their provenance, but one wonders whether the example of Langtry’s autograph at the top of this page (taken from an online auction) is the very one Oscar presented that day.